What a wonderful time to take advantage of local produce! The farmers’ markets are in full swing right now with so much variety. Ever since I can remember, I was always exposed to backyard gardens. Still to this day, I have a pear tree, a herb garden, a vegetable patch, a variety of berries, a variety of grapes and garlic (thanks to my dad ♥) and four kiwi vines with no fruit. Oh well, you can’t win them all… perhaps next year. But we do have lots and lots of arugula! 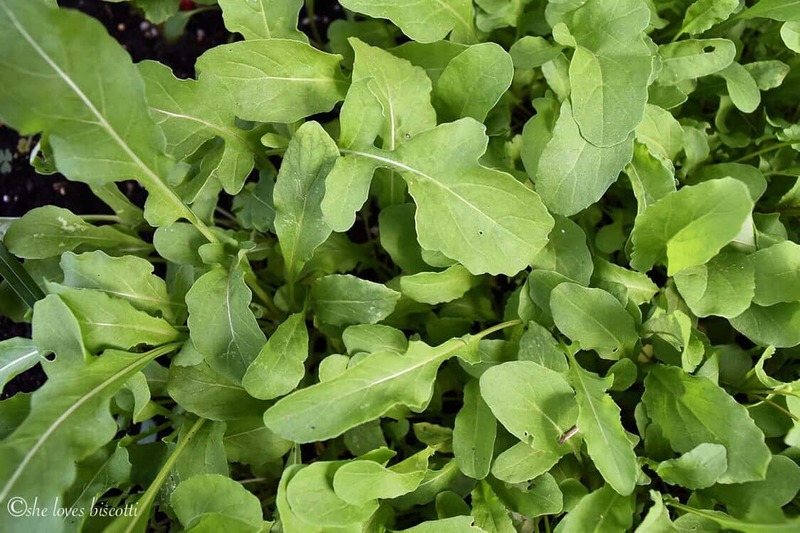 Did you know that arugula, also known as rocket, only takes forty days to harvest from seed? What a privilege it is to be able to prepare this wonderful salad with vegetables that have been freshly picked from my little backyard garden. Here is my arugula patch. I will usually plant arugula (from seeds) twice in the summer, about three weeks apart. This will create two harvests. I prefer to pick the younger tender leaves of the arugula, especially when making this salad. I have included amounts for the ingredients, but truly no recipe is required. 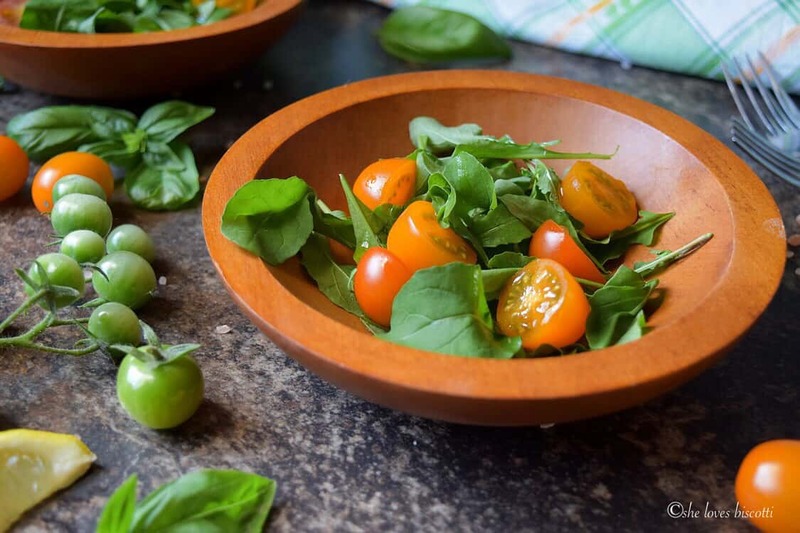 Once your arugula has been washed and spun dry, place it in your bowls. Today it was just me and hubby so I prepared only two salad bowls. Next comes the tomatoes. Did you know that there are literally hundreds of tomato varieties? One of my favorites are these small bite sized cherry tomatoes. They are just perfect in salads! 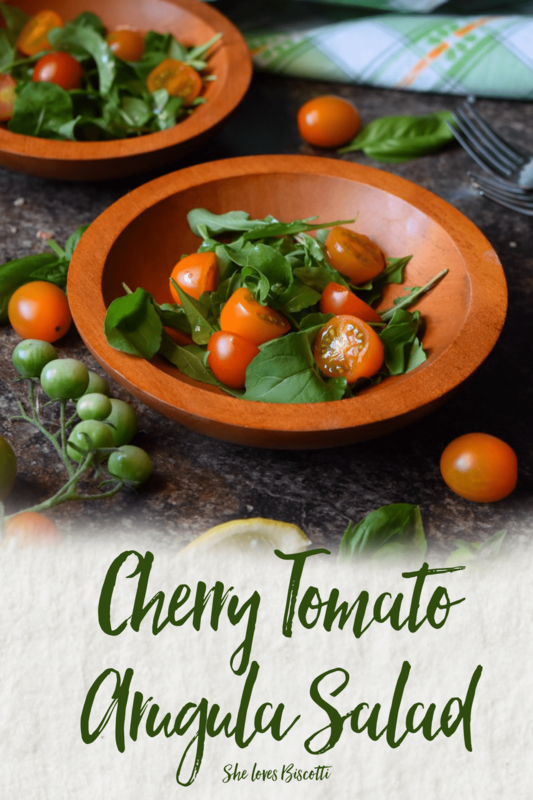 If you happen to have a bumper crop of cherry tomatoes, may I suggest preserving them for the winter with this Sun Dried Cherry Tomato recipe. Nutrition Trivia: Don’t let their size fool you! 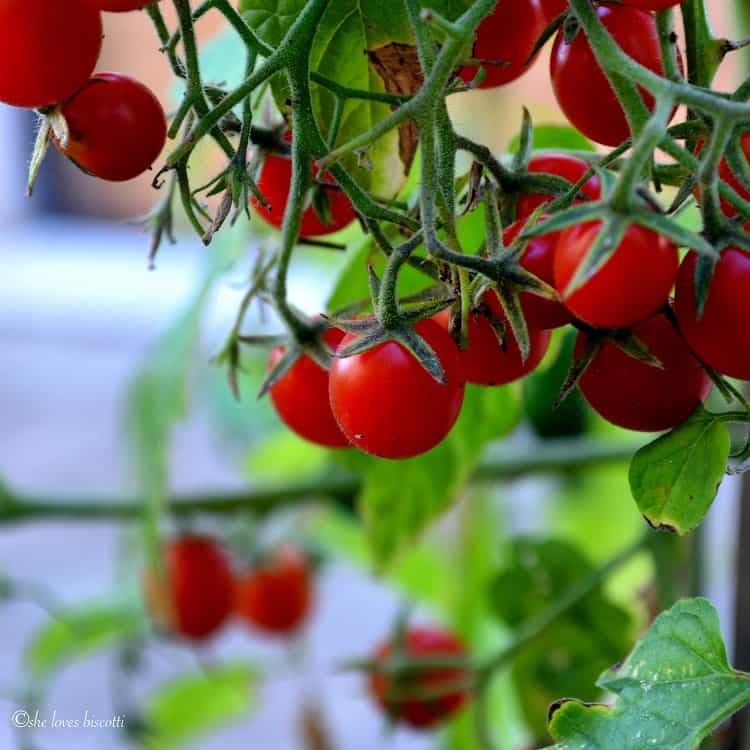 Have you ever wondered about the health benefits of eating cherry tomatoes? 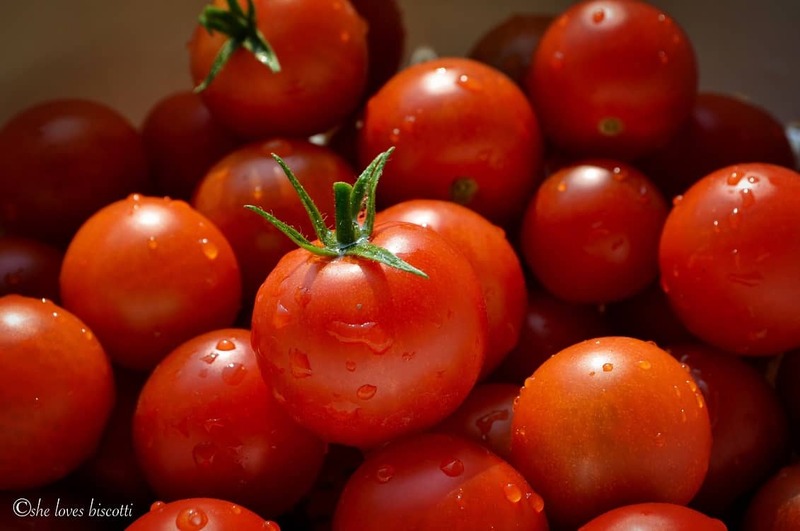 You would be surprised to know that even though cherry tomatoes are small, they pack a whole lot of nutrition in every little bite. They are an excellent source of both Vitamins A and C and are loaded with other minerals and micro nutrients making them part of a healthy eating lifestyle. 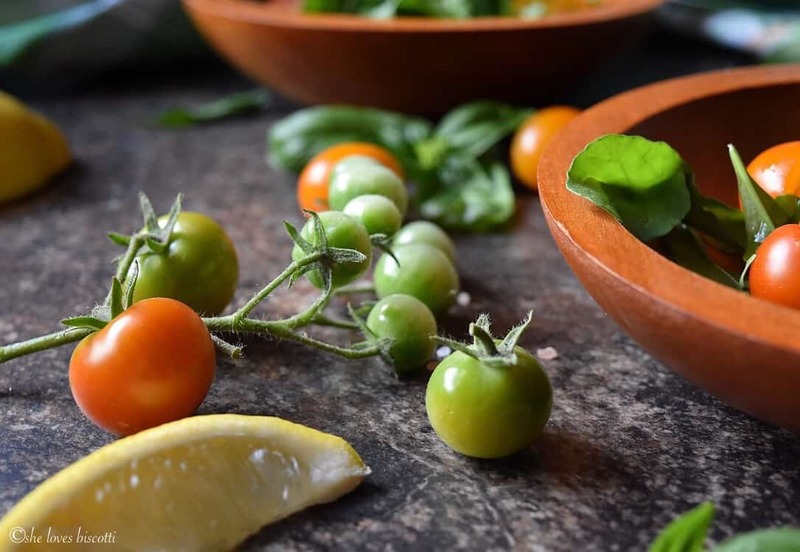 Once the halved cherry tomatoes are added to the arugula, top off your salad with a few hand torn basil leaves. The salad is complete with a few squirts of lemon juice, a drizzle of good olive oil and a pinch of kosher salt. 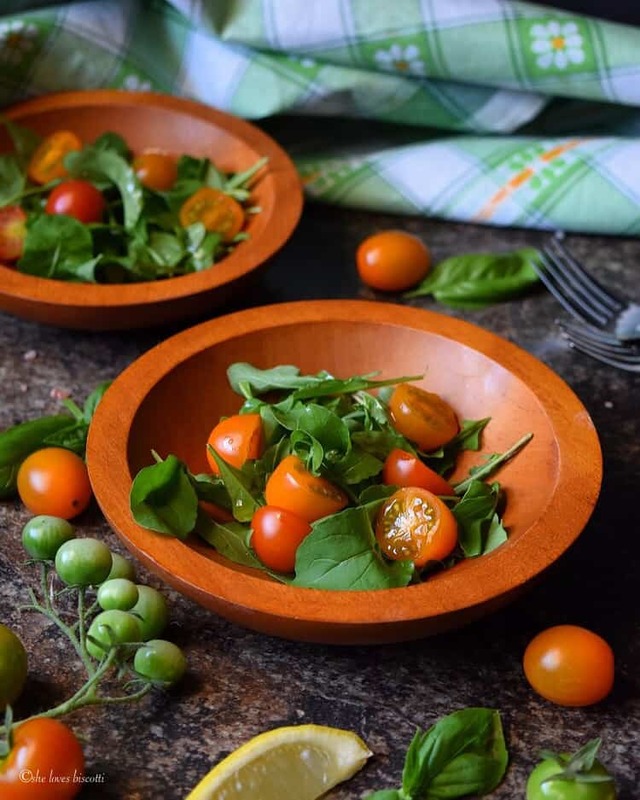 You are all set to enjoy this Easy Garden Fresh Cherry Tomato Arugula Salad! I am sure you all have so many food memories associated with your childhood, hopefully most of them are good ones 🙂 I can honestly say that I did not appreciate arugula until I was well into my adult life. As a result, I was not a fan of this salad in my younger years. Thank goodness our sense of taste changes as we get older. 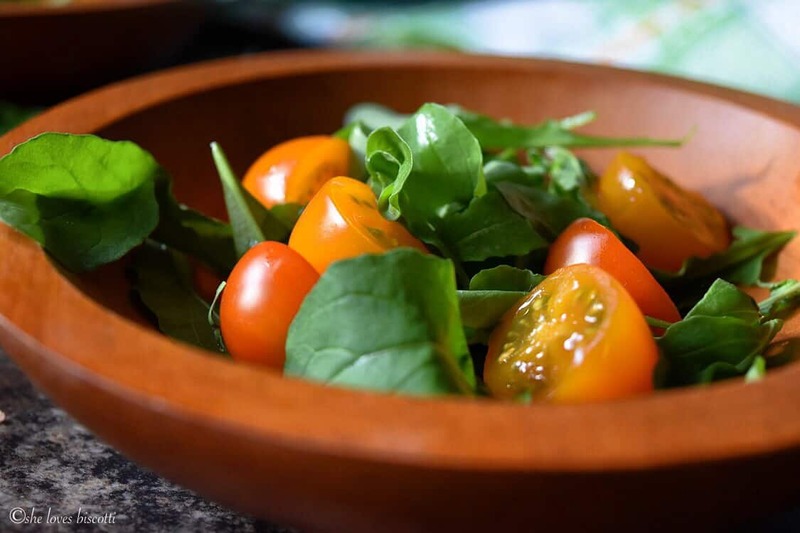 The sweetness of the cherry tomatoes complements the peppery bitterness of the arugula to create a delicious Easy Garden Fresh Cherry Tomato Arugula Salad. Rinse and spin dry the arugula. 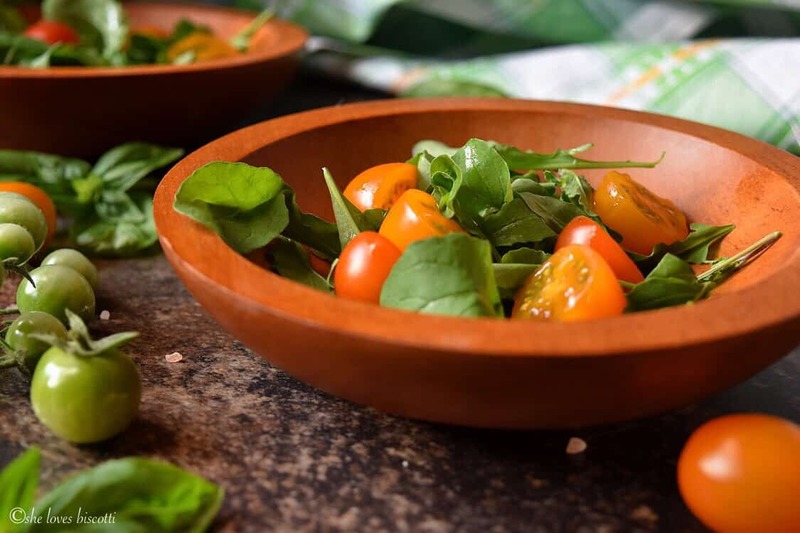 Place the arugula, tomato halves and torn basil leaves in two salad bowls. Squirt about half teaspoon of lemon juice per salad bowl. Drizzle about 1 tablespoon per salad bowl. Adjust salt seasonings, toss and serve. Recipe can easily be increased to accommodate required servings. 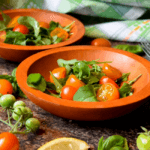 This cherry tomato arugula salad looks so easy to make! I’m sure it must be so refreshing. Thanks for sharing! This arugula salad is one of my go to salads in the spring. Yes, it is really a simple salad to put together. Thanks so much for taking the time to comment. This is my perfect kind of salad, Maria! Can I use regular instead of cherry tomatoes? Great salad for this time of year. A summer classic with both arugula and cherry tomatoes at their best. Full of flavor, texture and so pleasing to the eye. Thank you Maria for showcasing the simplicity of summer’s bounty at it’s best.